Access — How's the Ride? Access means the ability to reach desired goods, services, activities and destinations. Access is a broader concept than mobility, which focuses on enabling people to quickly move over large distances. Access involves better consideration of how multimodal transportation planning and efficient land use planning can increase access for all people, regardless of age, ability, or income.  % of regional jobs accessible to the average Baltimore City resident in 60 minutes by MTA bus or rail service. % of Baltimore City Public Schools middle and high schools accessible to the average Baltimore City resident in 45 minutes by MTA bus or rail service. % of Baltimore City residents and Baltimore City residents of Designated Food Deserts with access to a healthy food source in 15 minutes by MTA bus or rail service. Access to Jobs: Central Maryland Transportation Alliance, 2017 Transportation Report Card, based on data obtained from the Access Across America: Transit 2015 report published by the University of Minnesota's Accessibility Observatory. Access to Schools: Central Maryland Transportation Alliance, Will We Be Better Off? report, based on an independent analysis conducted in 2016 of the BaltimoreLINK Draft 2.0 GTFS using SugarAccess. Access to Food: Central Maryland Transportation Alliance, Will We Be Better Off? report, based on an independent analysis conducted in 2016 of the BaltimoreLINK Draft 2.0 GTFS using SugarAccess. The data and tools to measure access continue to improve. Transit agencies, including the MTA, may release transit routing and scheduling data to the public in a format called general transit feed specification (GTFS). Think tanks, governments, and non-profits can now use geographical information system (GIS) and other specially-designed software such as SugarAccess, Conveyal, or AllTransit to analyze and measure access. These tools work by utilizing socioeconomic data, transportation routing and scheduling data, and map layers showing destinations or centers of activity. This allows for a high level of specificity in measuring and analyzing access. The Transportation Alliance's own analysis, however, prepared in 2016, reached different conclusions. The Transportation Alliance obtained from MTA the general transit feed specification (GTFS) for what was then the Draft 2.0 version of the BaltimoreLINK system. The Transportation Alliance found that across many measures of access, the new bus system increased access for some people while reducing it for others. Now that MTA has made its GTFS and GTFS-RT feeds available, any person can access the transit route data needed to analyze access. Additionally, many GIS layers for destinations are available. Any analysis of access requires making numerous assumptions and other choices about data inputs. These choices frame and shape the ultimate outcome of the analysis, and reasonable people can disagree about the proper approach. Disclosing methodology is a must for transparency. That methodology should remain as consistent as possible, so that the public can make "apples-to-apples" comparisons. A consistent and transparent methodology unlocks the power of riders, advocates, and other stakeholders to go further than the agency in analyzing the data that are relevant to their interests. Access measurements are only useful if measuring types of access that are relevant to riders. MTA's approach to access for BaltimoreLINK is laudable in that it looked beyond jobs access to consider a basket of destinations and amenities critical to quality of life: hospitals, schools, pharmacies, supermarkets, libraries. MTA also looked at the population with access to the frequent transit network by certain population characteristics and by specific neighborhoods to provide additional context. However, what was entirely absent from MTA's analysis were the baselines for comparison, and the relevant assumptions and inputs that would allow another party to replicate MTA's calculations. Without this information, the public cannot get a complete picture of how changes are affecting the system. Though MTA explored many helpful categories, it's difficult to understand MTA's calculations without all the information. The sky is really the limit when measuring relevant aspects of access. For example, AllTransit measures 29 indicators across six categories of metrics, all based on publically-available GTFS and its own set of proprietary definitions and assumptions. MTA published its conclusions about access under the BaltimoreLINK system after these findings were requested by advocates and stakeholders, including the Transportation Alliance. MTA has not committed to measuring access on an ongoing or regular basis. MTA’s Office of Performance Management reports quarterly data only on three metrics: ridership, farebox recovery, and on-time performance. Meanwhile, MTA makes service changes at least 3 times per year. Some of these changes dramatically affect the level of service on the frequent network, or open up additional access to job centers. Those kinds of substantive changes call for updates to measures of access in advance of the public comment period.